Upon reaching political power in 2007, the Ortega/Murillo duo designed a strategy for staying in government for a long period of time. The strategy was based on three pillars: one, purchasing and/or acquiring consciences within State institutions and semi-autonomous bodies - including big business; two, manipulating and making changes in written law and the political constitution of Nicaragua to suit them best; and three, completely destroying political parties that could possibly have been real opponents that in reality never were. Two State institutions should be mentioned here in particular, both of which were caught in the whirlpool of this strategy: the Army and the Police. A "supreme chief" was imposed on both entities and proceeded to exert his power arrogantly and manipulatively. He offered them opportunities for enrichment, power, and technical training, and asked only one thing in exchange: blind obedience - as blind, in fact, as to lead them to forget the content of and due compliance with their founding charter, which establishes them as non-partisan, non-deliberative institutions, abiding by the Constitution under civilian rule. This political concept became a secondary priority, shunned and veiled both institutionally and in practice. The strategy also had a populist component: paying attention to an impoverished, jobless society with little or no education or training which demanded goods and services to be able to survive. This included handouts and donations of land, breeding stock, zinc, wood, nails, purlins, half-built houses, parks, videos, alcohol, music and T-shirts to kit out this social philosophy and poor use of finances. It was embarrassing to hear people who went to university, who have studied abroad, stating on television and in printed articles that Ortega was "intelligent". Over the span of eleven years, Nicaraguan society as a whole became accustomed to this type of relationship between politics and civil society. Poor people would say: "I have this little house thanks to the Commander and the compañera". And the best educated would say: "Ortega is a genius, he is a clever statesman". It was embarrassing to hear people who went to university, who have studied abroad, stating on television and in printed articles that Ortega was "intelligent" - for instance, a former government official, speaking as a US citizen, and a big businessman once said: "We are on the right track with Ortega in government". Society in general, the political, union and religious leaders, and also academics, share the responsibility in this because they all let the abuses of political power go unnoticed and accommodated themselves to them, and so they gradually became solidified. They thought that the determining factors of the situation they found themselves in would be eternal. Ethics, morals, shame, civic dignity, law and order all but disappeared. Everyone became complicit in a voracious and hazardous dictatorship. The very few who pointed out the dangers of the road leading to dictatorship were considered doomsayers and enemies of progress - people even refused to talk to those who dared to point out the dictator's errors. Young people, alien to traditional political life, that maintain their dignity and are socially and politically unashamed, are Nicaragua's moral reserve. And now, what do we have in Nicaragua? Social and political chaos. The dictator's exit seems difficult indeed. The idea that six million citizens are perfectly capable of running their own country and determining their destiny is not yet an established one in Nicaragua. Some people who have access to the media are asking themselves: What will we do if the government breaks down? As if there had been a government in the last decade. They refuse to accept that what we have been experiencing is misgovernment. The answer is to be found in the age and experience of what is since April 19, 2018 an emerging social actor: young people, alien to traditional political life, that maintain their dignity and are socially and politically unashamed. They are Nicaragua's moral reserve. 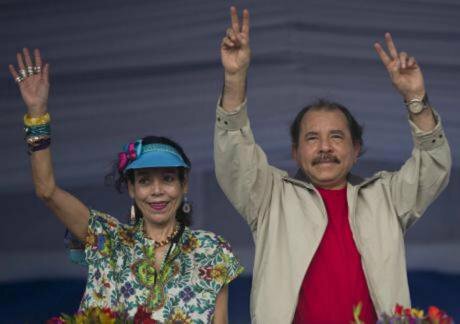 Ortega's exit will produce nothing but relief and civic dignity. What Nicaraguans need now is a measure of humility to accept that they made a mistake and that the Nation's time has come. Unity, simplicity, humility and a desire to move forward. All united for the rebuilding of what we have directly and indirectly destroyed. We must now govern ourselves horizontally. Sincere communication: that is the key.